Are you looking for Loose Cubic Zirconia,Loose CZ Stones,Lab Created Gems,Simulated(Glass) Gemstones, Synthetic Opals, Turquoise, Nano Gemstones, Moissanite Diamond ,Synthetic Gemstones or other Natural Gemstones supplier,exporter and manufacturer from the Real Factory in China? You’re come to the right place, we are a Professional Supplier and the Real Factory which have many years experience in manufacturing Loose Cubic Zirconia (cz diamond), and lab created gems, hand-cut or Machine-Cut Cubic zirconia, Synthetic Opal, Nano Gems and Moissanite gemstones Natural Gemstones with quality from AB to A quality, AAA quality and Top AAAAA quality cubic zirconia white stones for jewelry making and distribution. Additionally, we also offer high quality of loose Moissanite diamonds stones, Natural Gemstones and Synthetic Created Opal Gemstones at factory direct pricing. We are the Real Factory (Factory Name: FU RONG GEMS FACTORY) and Manufacturer which located in Wuzhou City, Guangxi province of China---honor as the Capital of the biggest Synthetic gemstones manufacturing base in the World. We have many years experiences in manufacturing all kinds of Loose Cubic Zirconia, Synthetic Gemstones and natural Gemstones. we offer lowest “Factory-direct” prices on all types of standard quality to Top AAAAA quality CZ white stones, without sacrificing service quality. One of the pitfalls to watch out for when dealing with overseas factories is when the samples get an “3A” grade but the actual products get a “A”. With FU RONG GEMS, Our Experienced QC Check the Stones carefully and strictly for Every order before shipment to give you peace of mind that what you ordered is what you will receive. What good are low prices if your orders are not good as expected, your shipment arrives late (or not at all), you have to chase your supplier for updates, or you’re hit with unexpected fees and charges? FU RONG GEMS is unique because we bring Chinese Factory Prices + Different Countries Service Culture under the one roof. We didn’t just “pop up on the Internet overnight”. We have many Years working in Loose Cubic Zirconia and Jewelry industry, both inside and outside China, exporting to a wide range of countries. We know what customers expect and how to consistently deliver it. As a manufacturer, we adjust our price now and then, for the purpose of guaranteeing our customers to be provided with quality products at the most competitive market prices. You can see and feel what you’re getting before your order. White CZ AAAAA Quality:The most valued CZ product on the market. At FU RONG GEMS, you will find the greatest selection of manufactured diamonds (Cubic Zirconia) for sale, including A,AA,AAA, AAAA, AAAAA Quality. Our CZ cubic zirconia White AAAAA Quality diamond cutting is the highest-quality and considered to be just as brilliant as a real diamond. It is widely known for its magnificent shine. Cubic Zirconia Color Gemstones are the best stimulant for the Real diamond, it's beautiful and brilliant for the Jewelry designs. Blue Sapphire Gemstones is the September birthstone and for the 5th and 45th anniversary gemstone gifts. The Material of it is Corundum, there're two kinds of Corundum Colors: # 34 (color - sapphire Burma blue) and # 35 (color - sapphire Burma dark blue). Opals of all varieties have been synthesized experimentally and commercially. 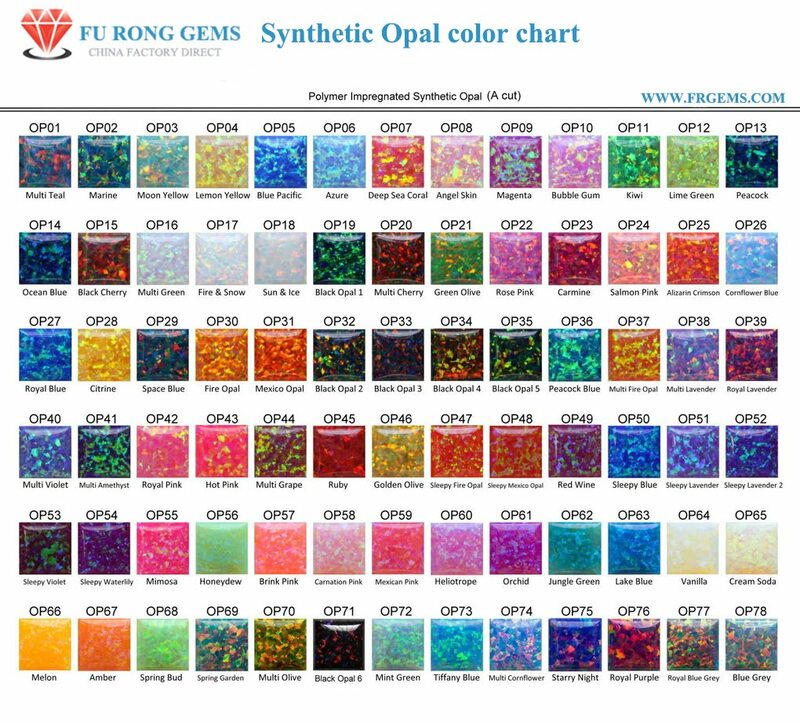 Synthetic opals usually display a very distinctive snakeskin pattern and they show brighter colors than natural opals.Therefore, Synthetic opals is the best stimulant for the Real Opals,and it's beautiful and brilliant for the Jewelry designs. Glass is an amorphous form of silica (with various percentages of additives) that has been used as a gemstone for millennia. Hardened Gemstones is the best stimulant for the CZ Stones, which the colors are beautiful, but are cheap for the Jewelry designs. FU RONG GEMS supply hight quality of Loose Cubic Zirconia Colored gemstone,Loose CZ Gemstones White Round diamond brilliant,CZ Diamond and CZ AAAAA Highest quality gemstone in Hand Cut and Machine Cut, Loose Moissanite Diamond gemstones, Synthetic Created Opal Gemstones, Natural Gemstones, Glass Gemstones,Semi-precious gemstones and Synthetic Lab Created Gemstones Wholesale at Low Factory Prices of from Wuzhou China Manufacturers,Exporters and Suppliers.